Gwyn. Lord of Cinder. God of Sun. Lord of Sunlight. Whatever you want to call him, you will feel his power when you see this unique artwork paying homage to one of the greatest bosses of all time! 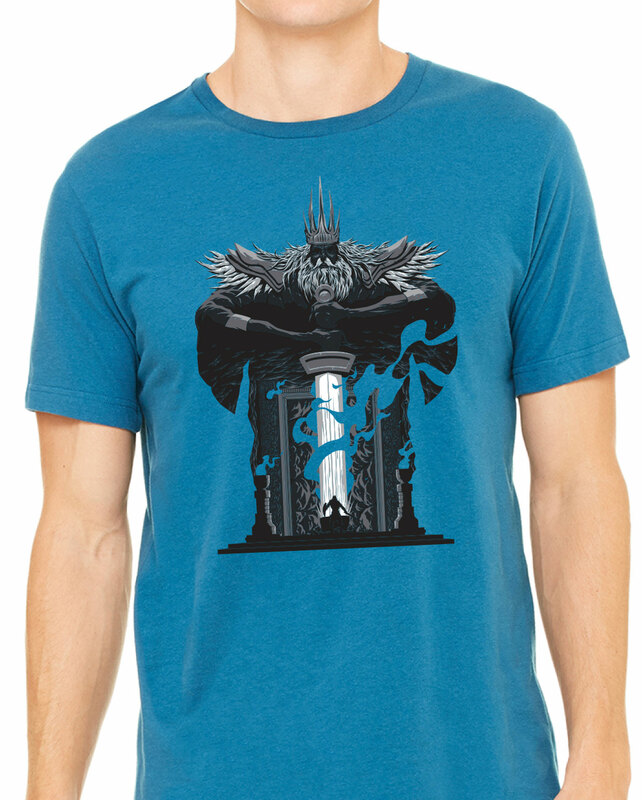 Screen-printed on 100% cotton to keep you cool with all that sunlight you'll be getting with Gwyn by your side.